Steve wrote in with a reminder that’s definitely worth repeating. Zoro Tools, or just Zoro as they call themselves these days, is a Grainger company that usually saves you some money. I’ve read comments mentioning Zoro tools in many posts, among other industrial supply sources such as McMaster and Grainger. What I haven’t seen (I admit I’ve only been reading for about a year) is any reference indicating that Zoro is a subsidiary of Grainger. You must have realized that by now, yes? Has there been a post to let the readers know? It’s a huge money saver. While Zoro’s site is atrocious, what I usually do is look it up on Grainger and then put the Grainger number in the Zoro search. It usually works. Grainger used to be a strictly business-to-business distributor that was difficult for consumers to purchase from. If you didn’t have a business account, they didn’t want your business. This changed in recent years, but if you don’t have a business account, you could expect to pay full and sometimes exorbitant prices. Let’s consider the Milwaukee self-feed drill bit set, model 49-22-5100. Steve says that Zoro is a huge money saver, and he’s not exaggerating. Another example is the Conrader SRV187-100 air safety valve I bought a few months ago. It is priced at $5.51 at Grainger – which seems to be the regular street price – and $4.21 at Zoro. I believe I have mentioned before that Zoro is owned by Grainger, but not as the focus of a post. Every now and then I find a product of interest on Grainger’s site and check to see if it’s available on Zoro. If it is available, I find that it’s often a lot cheaper there. But not all Grainger products are available through Zoro. Techni-Tool is also owned by Grainger, and the situation is similar – there’s not complete overlap. Things are similar with MSC Industrial Supply Co and Enco. These two companies are competitors to Grainger and are linked to each other in a similar way as Grainger is to Zoro. 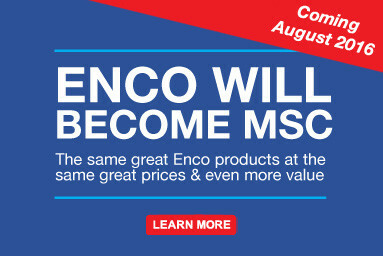 If a product is available at Enco, it’s probably available and more expensive at MSC. Although the two are sister companies, Enco is run quite a bit differently in regard to pricing, sales, and shipping. I try to avoid buying anything at MSC unless 1) it’s on sale for less than anywhere, or 2) I need something specific right away and don’t mind spending a small premium. I suppose the same would be true with Grainger. With Zoro, you get free shipping on $25+ orders. The threshold used to be $50. For items that are carried by both Grainger and Zoro, you can order from Zoro and have the items shipped to you for a lot less than you would probably pay to order from Grainger. That is, if you’re an individual consumer without a business account or discount arrangement. Even for business customers, it’s hard to think that pricing at Grainger could ever be less than at Zoro, especially when Zoro’s regular coupon codes are considered. I don’t like to recommend using Grainger product numbers as a better way to search Zoro – which does have a finicky search engine – because Zoro doesn’t carry everything that Grainger does. But, it was definitely worth the reminder that the two are related. I have yet to find a product that’s cheaper on Grainger than at Zoro. If you’re new to Zoro, there are a few more things for you to know. First, save bigger non-essential purchases for great coupon promos. 25% off $200 comes around every so often, and smaller ones such as $15 off $75+ tend to be a little more frequent. Once in a while they have even better promos, such as around Black Friday. Second, Zoro has pretty decent customer service. Not all of my orders with them have been flawless, but they corrected minor issues speedily. If I’m correct – Grainger also owns McFeely’s, Professional Equipment, and TechniTool. Grainger used to own McFeely’s. In December 2013 they sold a few of their specialty brands (source) to Ariens Company. The title says “Grainger Announces Intent To Divest Additional Specialty Brands,” and mentions that this “completes the realignment of the Specialty Brands portfolio,” but I could find no announcement that McFeely’s was definitively sold off by the company. There are no details or any solid explanation as to what happened, leaving things muddy and unclear, but I think it’s safe to say McFeely’s is no longer owned by Grainger. I think that I recall that McFeeley’s was brought under Lab Safety Supply (as part of Grainger) – but maybe sales or something else did not meet Grainger’s expectations – these sort of trades seem to happen all the time. As far as Gempler’s – I knew that they had become part of Ariens – and their offerings seem to mesh a bit more with Ariens than what McFeely’s sells. I didn’t know that off the top of my head, I had to look it up. Techni-Tool is part of Grainger, and I thought McFeely’s was too but double checked just to make sure. The comment above basically documents my fact-finding efforts. Zoros site is an abomination. The money you save there you waste in time looking for what you want. I went there a few times from links on Garage Journal looking for a deal and left with out making a purchase. I will not patronize a company that does not even care to have a user friendly interface on their site. Until they revamp that whole site they are not getting any of my business. I don’t care how much I save. I also often find myself purchasing (for work) from McMaster just because it’s easy to find what we need, and I know it will be delivered to us UPS the next day because their DC is only 30 or so miles away in Illinois. Zoro ships from several locations so I never know when we’ll get it. If we need something RIGHT NOW, the new Grainger DC is about 200 yards down the street from the shop. It’s an expensive convenience but time and list production is big dollars. That’s supposed to be “lost production”. That, and people standing around waiting for a machine to be repaired. They still use face to face reps, that really know their stuff, and help manage the small fasteners and tools that drive me nuts! Isn’t everyone cheaper than Grainger? They may have what you want, and have it right now, but I always felt I was paying toooo much for that their products and service. Always ask whoever you are working with at Grainger for a more competitive price. Grainger’s employees have always been helpful and are easy to work with. They have sellers to come to your business too. They probably have a lot more than you know about. Take time and look around on their website. Search “quick tips” in their search field if you need safety help. They have vending machines and lockers with no fees and their reporting is far better than any other distributor I have worked with. Grainger will always be my go to. I remember in my hay days when barely learning about HVAC systems I could not buy a blower motor from any company….I had to have an HVAC license. I needed one bad during this hot summer and I went to about 4 HVAC parts suppliers….had to have a license which was reasonable. I persuaded a guy to sell me one with out the warranty. That motor has been running till this day. I think that company sells to the public now (just certain items) or you can buy one from the net with out a license. I think it relates to how things are shifting. I haven’t been up to code with the HVAC stuff, but I know the average joe can buy refrigerant for their cars now while back in the Jurassic days, one could not. With home refrigeration, I kind of think it is heading in the same direction….so once specialty items become not that rare…I guess is the word, but more user friendly that even your weekend warrior can do. As more people become educated about “specialty” tools, there is more demand to buy them by your average joe i suppose which require a lower price to sell, imo. Right now r22 refrigerant is through the roof from what my boss tells me ever since that new environment friendly refrigerant came out. I think that’s more about liability reasons. Since HVAC systems have the potential to cause great property damage or personal injury and even death via gas leaks, CO emissions, and so forth, suppliers don’t want Joe DIY buying parts and attempting repair or maintenance jobs themselves without proper training and licensing. To be honest working on HVAC systems is pretty safe for the average DIYer. We live in an age where there is a lot of protection to all tools now. You have to be a real dope to get hurt, IMO. If it comes with instructions and a gauge, you can follow them and charge your home AC unit by yourself with out getting hurt or needling a lot of training. After dealing with HVAC systems for years, most danger I’ve come to was from frostbite after trying to replace an excessively leaky valve o-ring…i could have evacuated the refrigerant…..replaced the valve…vacuum the system…re introduce the refrigerant…but that would have required at least 2 more hours….I took the easy way and got my fingers a little frostbite. Other than getting deep in the repairing side of things, is the same procedure as topping off your cars refrigerant. You have a point nonetheless…. We like to loosely throw around the “I think that’s more about liability reasons” often on this site. To think that a HVAC supplier would have ‘liability reasons’ for not selling a blower motor (which does not even require work involving the gas line or fuel combustion) while large concerns like Home Depot and Lowes have little concerns about selling gas hook-up kits and venting for gas stoves, hot water tanks and gas dryers is puzzling. Auto parts dealers have no liability concerns selling DIYers airbags, Home Depot and Lowes have no concerns selling Electrical panels and hi-amperage circuit breakers and wire to anyone, and I can buy large bottles of welding gases from any supplier in the city. Now, putting the ‘liability reasons’ aside. The probably reason is to protect the professional tradesman from DIYers buying and self installing parts. It’s probably a combination of keeping returns down, reducing frequency of amateurish questions, AND reducing risk of injury or death to unqualified and uncertified DIYers. There are plenty of DIY home plumbing books and DIY home electrical books. Have you ever seen a DIY or consumer book on HVAC systems? “The probably reason is to protect the professional tradesman from DIYers buying and self installing parts.”…lol very true….thanks. I’m not talking about high voltage risks, but how screwing something up can lead to a gas leak or unvented carbon monoxide. This was great; we struggle with decent pricing for tools here in nz, so the zoro link was great. I went in and bought two crows foot wrench sets and a stubby metric set; all SK (what I currently have); got a voucher code and done. On there way down (via Oregon, cheaper postage to the bottom of the world). Thanks. Great website, always learning something. Cheers. Andrew. I have an office rental property in New Jersey where each office suite has its own heating/cooling PTAC wall conditioners. A couple of years ago, in Google search I found Zoro Tools offering them at the lowest price than any other web industrial providers. These units are sold at other places for no less than $800 and that too with additional shipping. Zoro gives free shipping for purchases over $50. And, yes they have frequent promotional codes from time to time that have saved me as mush as up to $200 several times. Same equipment at Grainger site are generally 15% to 20% more with no free shipping. Might be interesting to have a list of the companies that operate under different names, basically a DBA (Doing business as another name). For example, “Tyler Tool” is a clone of the CPO tool websites and if you look up the internet registries for those sites you will see they go to the same guy. So buying at CPO and Tyler Tool is identical. I ordered a combustion analyzer through Zoro and it came with a Grainger pamphlet inside the case to the analyzer. Yep, Zoro=Grainger. It’s Great to see the Grainger Salesperson cold calling and making inroads to accounts only to have the Customer shop it out to Zoro, wonder if there is a problem if the Zoro Rep stops out to help troubleshoot……..
Lol. Stodgy old salesman not wanting to let go of 1966. I love not being bothered by some dinosaur sales rep.
HVAC supply houses, in the past, were indeed a pain in the rear when it came to buying parts without a business license. I remedied that as I set up an company which let me open business to business accounts. The only thing you need to get Freon is an EPA license however if you purchase it “resell” it is fine. For example, I could get R22 and sell it to a licensed (EPA License) tech and have him charge my systems. I nonetheless have been charging my units from time to time as needed without any issues. The best systems seem to still leak a bit over 10 years. I do think HVAC houses has practiced a protectionism scheme in the past where they didn’t want to sell to non – HVAC pros. The funny thing is that the HVAC systems are easy to work on if you understand the science and mechanics behind them. There will always be plenty of work for the honest HVAC tech as the masses have no clue. Unfortunately, HVAC firms with salesmen will continue to prey upon the masses that have no clue as well. In conclusion to the HVAC houses … I would imagine they are realizing that Joe DIY comes in and knows what he is looking for … it is another sale and adds to their bottom line. Anyway – I have been using Zoro since they have went live. Access to great deals – I usually wait for their 35 percent off promos and stock up. As for Zoro being a part of Grainger – makes sense as I have had packing slips from Grainger on items I purchased through Zoro. 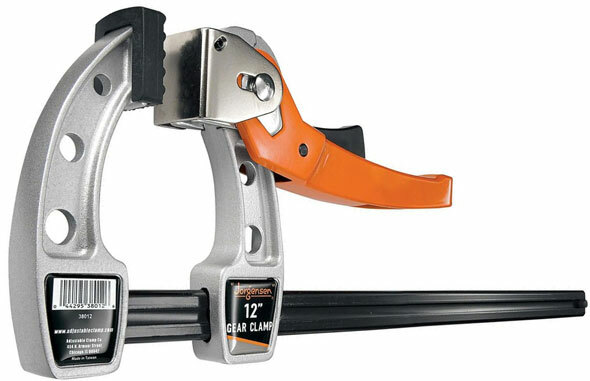 I still have a Grainger account and from time to time use them for items I need now or go to the branch to pickup. Grainger has saved the day many times for me when in a pickle. Grainger has the Metabo heated jackets for $224. Zoro has them for $317! Basically the same price with the 30% off. Never buy from Zoro at retail price. Zero is terrible, Grainger is even worse. Yes, Zero – what a terrible number.